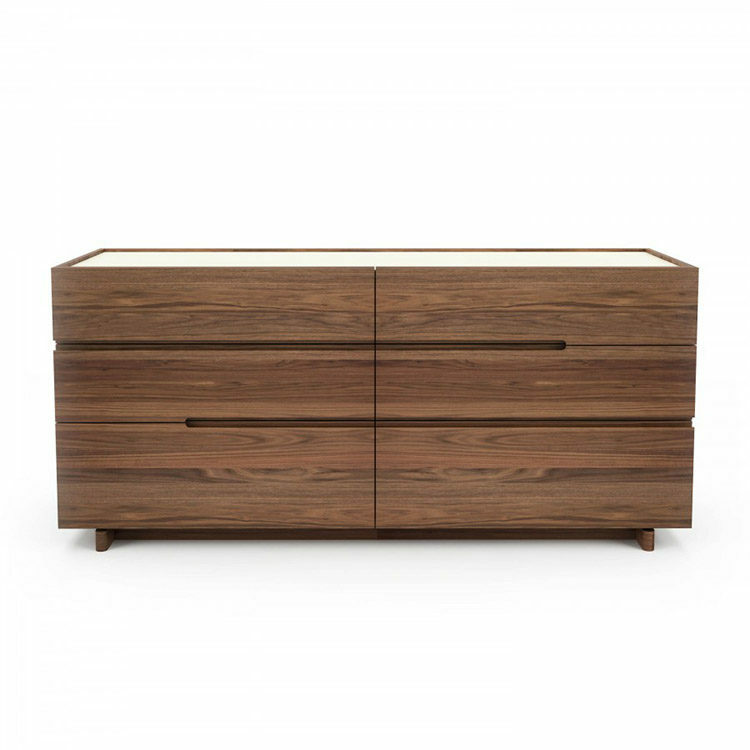 The NELSON collection is made with American black walnut solids and veneer, supported on solid walnut bases featuring rounded ends and a toe kick. Choice of natural or Stain finishes. Choice of Lacquered acid etched glass top.